Tony Perkins and Donald Trump have both created cults. They both try to solve their problems by attacking ad hominem their critics. Late Friday, according to Hate Group Leader Tony Perkins, Social Media Giants 'Friend' Extremist SPLC. Apparently some pinko-liberal conspiracy is afoot because Family Research Council is being persecuted and victimized. FRC's primary antagonist, the SPLC, is an organization that Perkins has been at odds with for some time. After all, he did have direct ties to the KKK and David Duke. Donald Trump's enemies are the mainstream media (which sometimes has the audacity to tell the truth) and the Justice Department which has refused to cooperate with Trump's efforts to obstruct justice by stopping an investigation led by Special Counsel Robert Mueller. Donald Trump has a strategy to cope with what seems to be inevitable. Knowing that the turds will eventually hit the turbines, Donald Trump is on a campaign to delegitimize Robert Mueller and the entire Justice Department. The pardons are a separate scheme. Tony Perkins doesn't have pardon power but he knows that his Family Research Council has no hope of ever being removed from the Southern Poverty Law Center's list of hate groups. That is not because the SPLC is immune to a meaningful appeal. Rather, it is because the deranged religious zealots at FRC are incapable of civil and responsible behavior. Simply stated, FRC is staffed with demented anti-LGBT bigots and a fair number of anti-Semitic and anti-Muslim nut jobs. Therefore, Perkins is on a continuing campaign to delegitimize the SPLC as well as anyone, or any organization, that Perkins views as an ally of the SPLC. Trump and Perkins both indulge in a form of argument ad hominem — attacking the arguer rather than the argument. The Trump-Perkins comparison doesn't stop there. Both attempt to delegitimize their perceived enemies with lies and distortions while not responding with specifics. For example, the SPLC is “extremist” and Trump's fate is in the hands of “13 angry Democrats.” Those two statements are provably false. However, Perkins and Trump have constituencies that believe anything they say no matter how preposterous. I have come to the conclusion that their constituents are generally impenetrable. Arguing with supporters of either Perkins or Trump is pointless. He knows that his based is immune to facts. It is like trying to make sense with a Moonie or a Scientologist. Cultists are impervious to reason. Furthermore, there have been scientific studies concerning conspiracy theories. Once someone embraces a conspiracy theory they almost never divorce from what they adopted as truth — no matter how ridiculous. Odds are that Trump is still a birther. Perkins and Trump have cultist followings who believe many things that are simply untrue and they cannot be convinced otherwise. It is why Trump can tell, on average, five or six lies every single day and those are just the ones we know about. Perkins' worshipers are similar to Trump's and there is a great deal of overlap. There is no amount of persuasion that will make someone realize that the SPLC has no responsibility for the shooting at FRC six years ago. Similarly, they have determined that science is thoroughly corrupt. Absolutely nothing will dissuade Perkins' adorers from accepting the notion that gays are pedophiles who are intent on “recruiting” children. That meme, by the way, is one of the most compelling reasons that FRC is designated a hate group. When you add religious fundamentalism to what is already a cult that is supported by conspiracy theories you end up with rabid, insane adherents who give Tony Perkins a great deal of money. Most of Perkins's supporters are done deals. They “know” what they know and nothing is going to change that. They believe that those ancient texts are the inerrant word of their god no matter how many crazy contradictions and obvious falsehoods you point out. When things in the real world don't quite work out, they have the Swiss Army Knife of fundamentalist reasoning: “God works in mysterious ways.” Evangelical Christians, Opus Deists and atheists all get cancer at the same rate.There is no difference in the percentage of people afflicted across the religious and nonreligious spectrum. They get sick. They pray. Friends and relatives are called to prayer. When someone goes into remission: “It's a miracle. Our prayers have been answered. Hallelujah!” When the pious young mother of five children dies: “God works in mysterious ways.” In other words, they are always right and they know it. They bring that attitude to the cult which takes on an omniscient aura. Amazon, by far the biggest advocate of SPLC, made no bones about its relationship, insisting it gives the organization carte blanche to police people as it sees fit. And police it has, particularly in the Amazon Smile program, which just dropped a mainstream legal defense group – Alliance Defending Freedom – from its list of approved charities. ADF, Amazon explained, was blocked for being a "hate group." 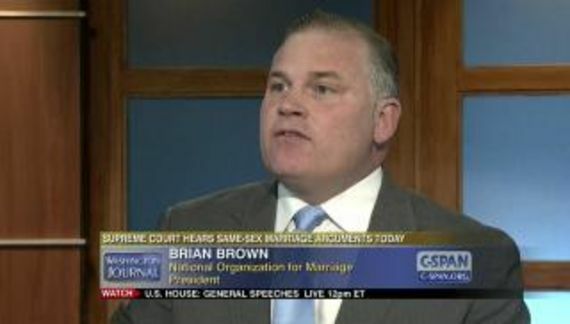 A "hate group," incidentally, that just won a blockbuster case at the Supreme Court this week. Still, an Amazon spokeswoman said, "We remove organizations that the SPLC deems as ineligible." No questions asked. When the Daily Caller pushed for an explanation, she said, "because we don't want to be biased whatsoever," said the spokeswoman. What is it specifically that the SPLC says about FRC that is incorrect? What does winning a case at the Supreme Court have to do with ADF being or not being a hate group? What steps can ADF take to no longer be classified as a hate group? How impartial is The Daily Caller in gathering information? Perkins's supporters ask no questions at all. They just accept it like words from their god. If it's bias they're worried about, then what on earth are they doing with an organization that even Politico argues "abuses its position as an arbiter of hatred?" Politico's Ben Schreckinger, like the Wall Street Journal, became suspicious of the former "civil rights group" when it started "labeling legitimate players 'hate groups' and 'extremists' to keep the attention of its liberal donors and grind a political ax." As more and more conservatives find themselves on the losing end of political correctness, people want to know: why would anyone – let alone Amazon or Google – trust SPLC to treat their users fairly? Critics say the group abuses its position as an arbiter of hatred by labeling legitimate players “hate groups” and “extremists” to keep the attention of its liberal donors and grind a political ax. The words “critics say” dramatically changes the meaning of the quote. Perkins is probably quoting Perkins and not Schreckinger. It's all there in black and white if someone cares to look. In addition to editing out the words, Perkins did not include a link to the Politico piece but it was easy to find. Actually not so easy because, from a search, one is first confronted with several other polemics doing precisely what Perkins did. The Cult of Tony also participates in an echo chamber. Suppose that one of Perkins' supporters did put forth the (profoundly unlikely) effort to view the original quote in the original piece? While I concluded that Tony Perkins is, once again, full of crap, that supporter is almost certain to come up with another explanation that confirms Perkins' anointed status. That is what cult members do. Schreckinger's piece leans towards SPLC's critics but it is still a good read. It is well written. That is yet another thing that a Perkins' (or Trump for that matter) cultist is unlikely to do: Read or listen to something that they think they will disagree with. How can you be a critical thinker when you are not really being critical? Perkins and Trump are both cynics. They know full well that they have incurious followers. Some of Trump's base started to wed conspiracy theories with the election of Barack Obama and possibly earlier. Conspiracy theories are simple explanations for our problems, with easily identifiable villains. They therefore have greater intuitive appeal than more complex explanations that require greater knowledge to understand. I first read that paragraph several years ago and my immediate reaction was that Professor Somin (a libertarian/conservative) just described scripture. Read the quote again. Somin, by the way, blogs with Eugene Volokh. I usually disagree with him but he was remarkably prescient about then candidate Trump's appointment of federal judges. He is no fan of Agent Orange. Uncle Miltie played it for laughs not indoctrination. I was tempted to ask Mr. VeggieFruit what he means but realized that a rational dialog is improbable. Mr. VeggieFruit and his friends are not going to be converted, no matter how convincing we may think we are. It is better to conserve energy. We can prevent others from joining these toxic cults. More importantly, we can motivate the rest of society to vote in November and we can help them to see rationality in an irrational environment. As for the SPLC, the organization will outlive us all because it has dedicated managers and employees who are extremely competent at what they do. They are our valued ally in the defense of real persecution and oppression.